Two teenagers were arrested yesterday by San Leandro police officers after stealing a laptop computer from a customer at the Starbucks coffee shop at 13808 E14th St. The two suspects fled from the store, but were caught minutes later by officers. 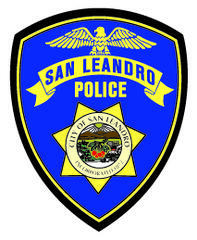 The incident occurred yesterday morning around 10:00 am when San Leandro Police dispatch received a 9-1-1 call from a store employee reporting a laptop had just been stolen from a female customer. The employee stated that the two suspects fled the store and a witness was chasing them. Officers arrived at the coffee shop and located the victim, a 52 yr old San Leandro resident. The victim had visible injuries to her knees as she fell to the ground attempting to chase after the two suspects. The victim stated that she was sitting at a table inside the coffee shop working on her laptop computer. The victim said that she specifically noticed the two teenage boys outside the store and watched them as they walked inside. The victim stated she took particular note of these two individuals because it was during the time kids should be in school. The victim stated that she continued to work on her computer when suddenly one of the teenage boys grabbed her laptop off the table. The victim was surprised by this and quickly held onto her computer. Both the victim and the suspect struggled for possession of the laptop until the teenage boy overpowered the victim and was able to take control. The suspect and the other teenage boy then ran out of the store. The victim stated she attempted to chase them outside but fell onto the concrete and cut both her knees. Another customer in the store witnessed the incident and attempted to chase the two suspects, but lost them in the area of San Leandro Blvd. Additional San Leandro police officers arrived in the area and began searching for the two suspects described as both "high school age" black males. Several minutes after the theft, an officer searching the area of the San Leandro BART station was hailed by a citizen who pointed to the two suspects who were hiding and apparently "avoiding police detection." The officer located the two suspects hiding along a fence line in thick vegetation. Both suspects were stopped and detained with no resistance. The victim from the coffee shop was brought to the scene of the stop and positively identified both teenage boys as the suspects who stole her laptop. In addition, the victim's stolen laptop computer was located inside one of the suspect's backpack. Both suspects; 18 yr old Antuan Scott-Perry and his 17 yr old accomplice were arrested and taken to SLPD for processing. Both suspects admitted to the theft stating that they intended to sell the laptop for cash. "This is a crime of opportunity for many suspects," said San Leandro Police Lieutenant Isaac Benabou. "Patrons at coffee shops, restaurants, or anywhere in public on their laptop computers should be aware of their surroundings and take some precaution to secure their devices to a fixed object." The juvenile suspect, in this case, has been charged with robbery by the Alameda County Juvenile District Attorney. The adult suspect's case will be reviewed tomorrow at the East County Courthouse in Dublin.